We know that half the fun of having a pond is all the additives that make your water feature original, whether that’s something simple like plants or a patio that allows you to admire your landscaping. Why stop there though? 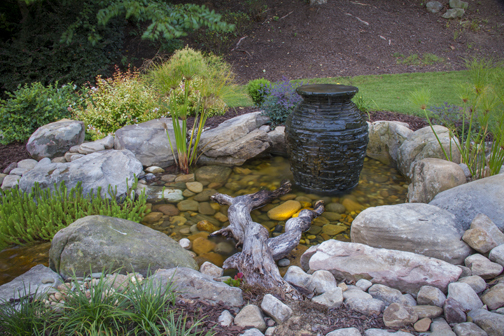 Here are top ten favorite features to add to your pond to make it, well, you. Fountains are beautiful but they also make for a valuable aeration system for your pond! Some worry that their existing waterfalls don’t add enough oxygen to the pond, and we often suggest a fountain as both a practical and beautiful fix. We say it’s worth the splurge if you’re investing in some water lilies. 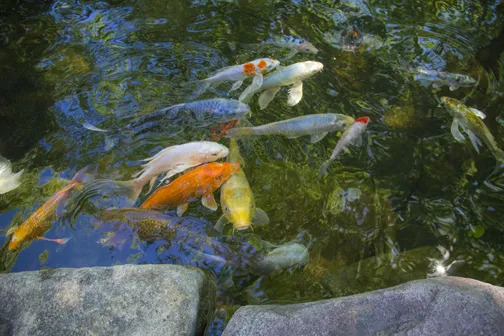 They are practical in their ability to shade the pond and provide your fish with a safe spot to hide from predators, but they also add accent hues to your water. 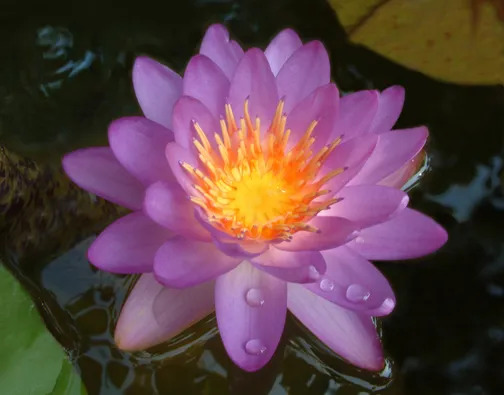 Water lilies come in all shades and colors appropriate for both hardy and tropical environments. 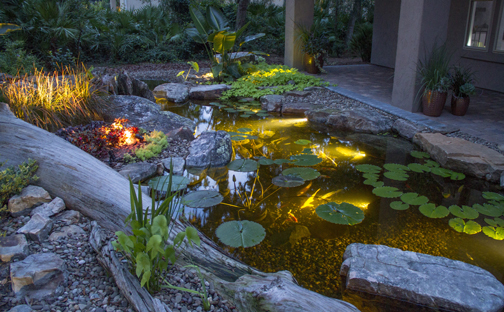 Garden and pond lighting means that your summer evenings just got a lot brighter. Adding lights behind a waterfall creates an ambiance that will foster dreaming evenings right in your backyard. Underwater lights makes for an aquarium-style view of your fish friends as they swim by. Add in a timer and you’ll never have to worry about turning your view on or off; all you have to do is kick back and enjoy the view. Of course, what’s a water feature without some fish to live in it? It’s not a coincidence that many doctor’s offices have aquariums; watching fish swim about has proven to relax people and melt stress away. Now to choose which fish you want! Make sure you read up on our tips for buying fish and the appropriate amount of water necessary to keep them happy and healthy. 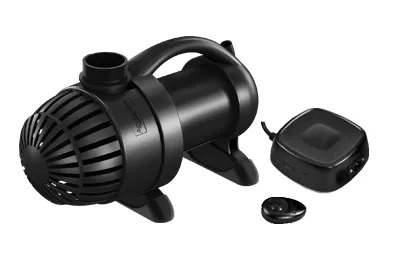 Adding an adjustable flow pump that features a remote control means that you control the volume of your waterfall. Feel free to set the mood: low volume for a quiet dinner outside or turn it up for your summer blow-out party. Just keep the remote away from the kids and your waterfall responds to your command. We recognize that this sounds unattractive, but perhaps your pond can use a whimsical focus point. 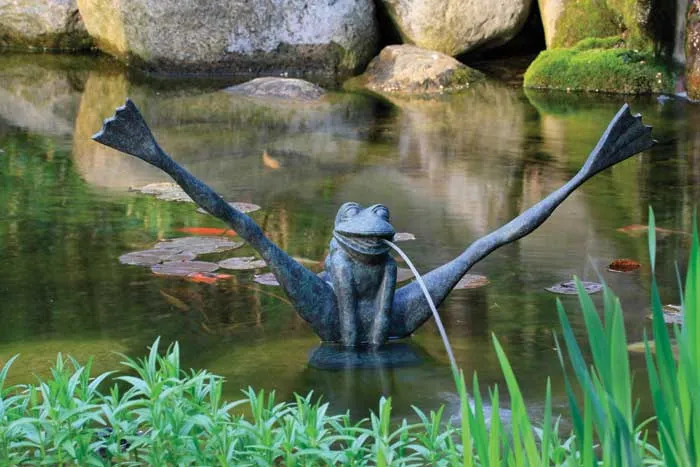 Maybe adding a spitter in an unexpected location will add a little trickle in your pond to make it original and allows you to add a cute decorative piece to your pond. 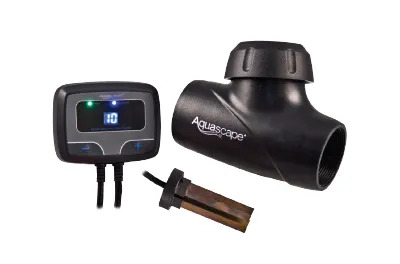 No one wants aglae in their pond, and this system helps pond owners stay happy. This electronic algae controller kills algae without the use of traditional liquid chemicals. The IonGen™ is easy to install or you can call a certified aquascape contractor to install it for you! We are happy to help! Who needs plant shelves when you can have a boat of plants? The floating planter keeps soil intact while also letting water seep in by small increments. It keeps your plants healthy, protected from fish, and allows for you to add foliage anywhere in your pond. This is a brand new products and all pond experts agree: it’s a must-have for your water features! It consistently applies the water treatment of your choice throughout pond season. Say goodbye to guesswork and remove “adding water treatment” from your to-do list. Save yourself the hassle with this simple new system! Some ponds are originally built without a waterfall, but this by no means you cannot add one in later. Waterfalls are not only beautiful and calming, but they are also beneficial because they provide valuable aeration to your water feature. 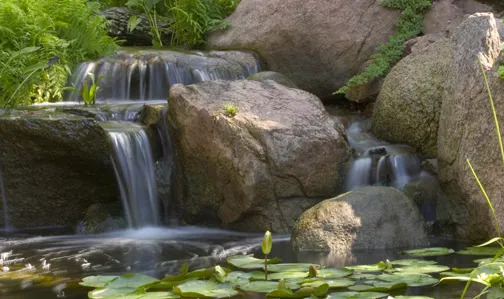 If you already have a waterfall, consider ways you can tweak your current design by adding new rocks to give your feature some new sounds for the season!